Do you want to work on your core strength and stability? Are you sick of suffering from back pain? 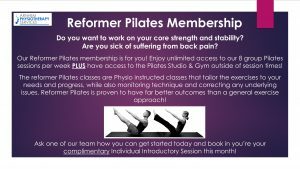 The Reformer Pilates classes are Physio instructed classes that tailor the exercises to your needs and progress, while also monitoring technique and correcting any underlying issues. 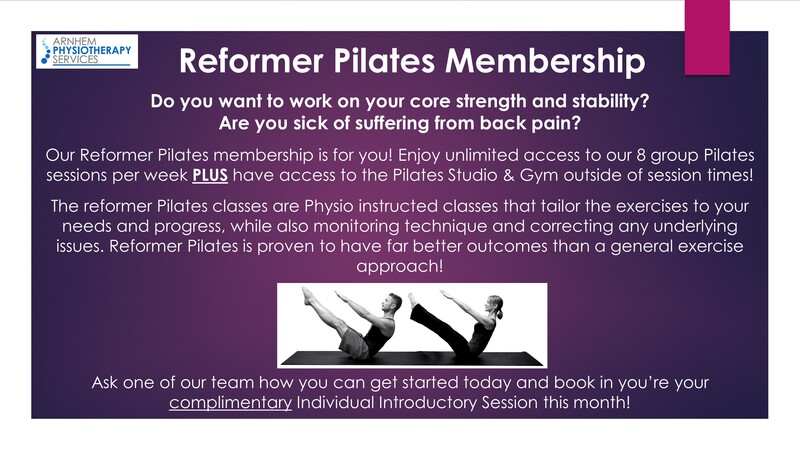 Reformer Pilates is proven to have far better outcomes than a general exercise approach! Enjoy unlimited access to our 8 group sessions per week PLUS have access to our Pilates Studio and Gym outside of session times! Ask one of our team how you can get started today and book your complimentary Individual Introductory Session this month! Call on 08 8919 4727!